Vettel successfully got ahead of Max Verstappen to take second in an opening-lap battle after qualifying only third, and chased Hamilton for the lead through the first stint. 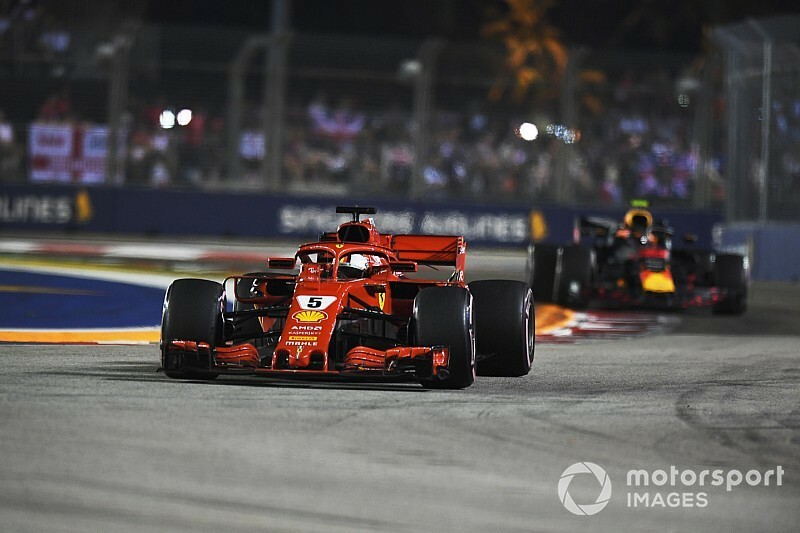 An attempt to undercut the Mercedes for first place by pitting a lap earlier then backfired, as Vettel became temporarily stuck behind the yet-to-pit Force India of Sergio Perez and not only failed to jump Hamilton but also lost second to Verstappen again. In addition, Ferrari put Vettel on ultrasofts while all his main rivals had taken softs. He was sceptical about his chances of the tyres surviving to the finish and had to drive conservatively, finishing nearly 40 seconds behind winner Hamilton. “I will always defend the team,” said Vettel when asked by Motorsport.com about Ferrari’s handling of a weekend where it had been tipped to dominate. “The decision we took in the race to try and be aggressive, if it works then it’s great. Today it didn’t work. It didn’t work by quite a bit. So we need to look into that. “But we saw something and that’s why we went for it. Inside the car it’s difficult to keep on top of everything because you cannot see where you come out, etc. “Overall if you see the gap at the end it was clear that we were not fast enough in the race today. We need to understand why. “It’s largely down to how we decided to race and which tyres and for how many laps, etc. With what we did, we tried to get to first position and get ahead. But Lewis was too quick. 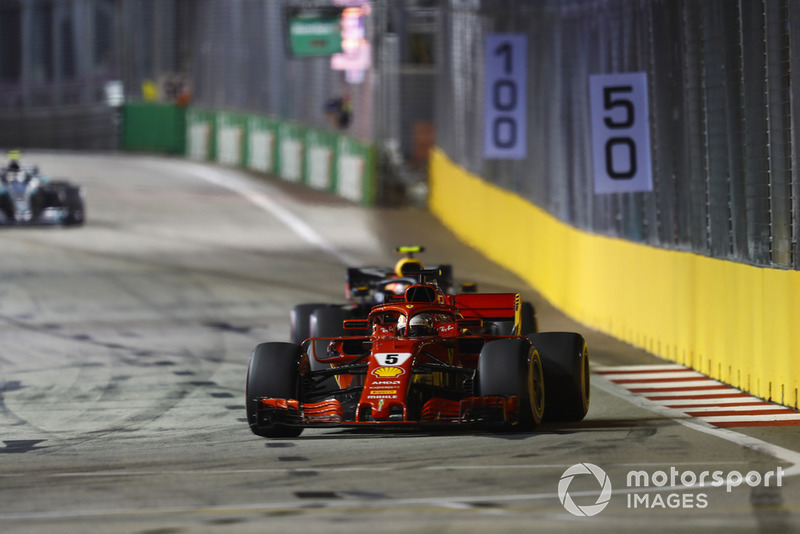 Vettel was able to get his ultrasoft tyres to the finish – and even when he was lapping two seconds slower than Hamilton and Max Verstappen ahead of him, he was still able to maintain a stable gap to Bottas, Kimi Raikkonen and Daniel Ricciardo in fourth to sixth. “I wasn’t very confident that we could make it to the end. But fortunately we did,” Vettel added. “It was a surprise to see. The guys in the front were disappearing, with fresher tyres I guess. The result leaves Vettel 40 points behind Hamilton and Ferrari 37 off Mercedes in the constructors’ championship. “Overall I think we had a very strong package, both Kimi and I looked very competitive throughout practice,” Vettel admitted.